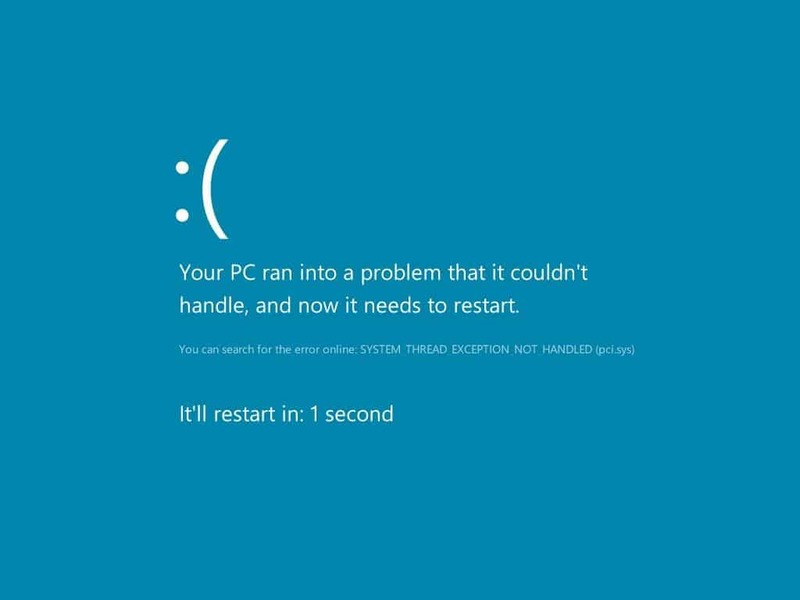 The SYSTEM_THREAD_EXCEPTION_NOT_HANDLED Blue Screen of Death error is one of the most common among Windows 10, 8 and 7 users. For this reason, we decided to make things clear about it, by explaining how to solve it once and for all. This error is generally caused by incompatibility or malfunctioning of the drivers, and usually occurs after Windows 10 upgrades. 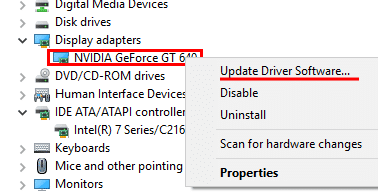 For this reason, computer manufacturers recommend to always update all the installed drivers before starting the upgrade process. However, if you’re reading this article it means that it is already too late, so we can just roll up our sleeves and solve it. Let’s start with a question: are you able to log in your Windows account, or the blue error screen appears too early and prevent you from doing it? In the first case, you can skip reading the following paragraph (as it explains how to access the Windows Safe Mode), otherwise – unluckily – you will have to read that, too. After your PC restarts, you’ll see a list of options. Select 5 or F5 for Safe Mode with Networking. If even the safe mode with networking doesn’t work, repeat the process, but at the step 3 select the option 4 or F4 (simple safe mode, instead of the networking one). Then you will use another PC to download and transfer the driver installation files. Which driver is causing the error? The error is caused by nvlddmkm.sys file,which is part of the NVIDIA display adapters drivers. The error is caused by atikmpag.sys, which is part ATI display adapters drivers. The error is caused by wificlass.sys, which is part of the Cisco access point drivers. The error is caused by iaStorA.sys, which is part of the Intel Rapid Storage Technology Driver. If the filename is not among the sample ones, you can still figure out which hardware device it refers via a quick search on Google. 4. Wait for completion, then restart your computer. The annoying error will be finally gone! Oh no, the blue screen is back! What can I do? First, verify that the file that caused the error is the same as before. If not, repeat the device drivers upgrade procedure for the new file. Also, make sure that all your PC software is up to date; some manufacturers (such as ASUS) make available a program specifically designed to facilitate the updating of all the drivers, in a fast and automated fashion. If even the update of all the drivers didn’t fix the error, you can try to rename the faulty file (typically, you will find it in the windows\system32\drivers folder), for example by replacing the .sys extension with .old. However, this is a potentially risky (and meant to be temporary) workaround, recommended only for advanced users. For any question and clarification on the subject, feel free to leave a comment in the form below.